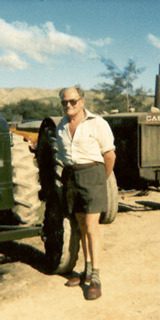 The concept of Brayshaw Museum Park was largely due to the foresight, drive energy and determination of Norman Brayshaw. A life long dream was finally realised when the site of Blenheims early dumps was officially established in 1968 as Brayshaw Museum Park. Norm had many visions when it came to the conservation, protection and preservation of our Provincial History. He was instrumental in establishing small museums at Renwick, Havelock, Picton and established the Marlborough Archives which were housed for many years in the 'tin shed' behind his home on Howick Rd. Norm's outstanding commitment to the Provincial history of Marlborough was recognised when he was awarded the British Empire Medal (B.E.M.) in the Queens honours list in 1975. He held the position of secretary/treasurer of the Marlborough Historical Society from October 1960 to October 1972.